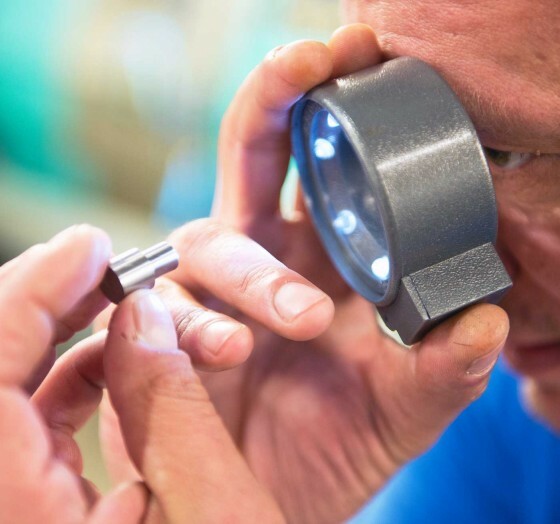 The machining companies within the Micro Machining Group have been trusted suppliers of high-quality components and assemblies in sophisticated market segments for many years. We can guarantee your delivery because quality standards, production processes and machines within the group are fully synchronised. Our clients experience the advantage of this intensive collaboration simply because we can meet your request in nearly all cases. Yet we also value the differences between these companies, each with its own focus on extreme precision, for example, good lead times or processes optimised down to the minutest details. Machining companies that have been collaborating intensively for years, that have co-ordinated their processes perfectly and yet retained their individual character. These are the advantages to you as a client. Each of these companies is characterised by high standards in the field of quality and delivery reliability. All Micro Machining Group companies have modern machinery as well as motivated, qualified personnel. Yet the individual companies excel in specific elements. Within this group, Technology Twente is the true all-rounder, and this company could be compared to a triathlon athlete as it is fully capable of offering the right balance between speed, volume and quality. You only notice how unique this all-round capability is when you turn to us, as Technology Twente is in fact at its best when, in conjunction with you, we push ourselves to the very limits in our production processes. Germefa is all about precision. Greater precision provides countless opportunities, whether noticeable or not. The greater the precision and the higher the quality requirements, the more we like the challenge at Germefa. Day in day out, Germefa is busy ensuring this accuracy and quality and continuously improving both. Time and again, Germefa proves to be capable of surprising its clients, mostly from demanding markets, with extreme precision and quality.